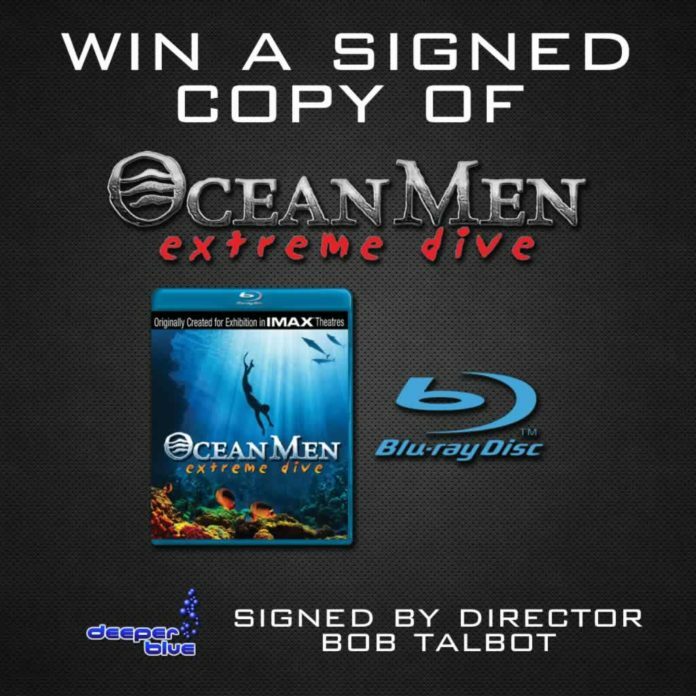 DeeperBlue.com has teamed up with Director Bob Talbot and Talbot Films to offer a lucky readers the chance to win a Limited Edition signed copy of the Blu-Ray version of the award winning IMAX movie Oceanmen. The Blu-Ray is signed by director Bob Talbot. 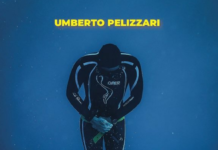 Originally shot on 70mm film for showing in large format IMAX, this award winning film poetically tells the stories of world champion free-divers Umberto Pelizzari and Pipin Ferreras as they attempt to dive deeper than anyone had ever dared…over 500 feet…on a single breath of air. Their personal journeys were filmed in six countries. 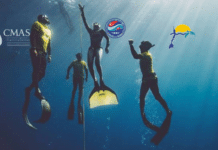 Stunning aerials and groundbreaking large format underwater photography transport us from the bustle of Miami to the remote serenity of Sardinia…from the coral caverns of the Caribbean to the inky darkness of the deep sea. 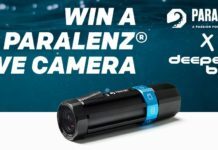 To be in with a chance of winning, all you have to do is head over to the competition page and answer the question correctly. The competition closes on 29th August 2013.